Younger son of John Grieg Shaw, of Belfast, and Mrs Shaw, of Lealholm, Inverleith Place, Edinburgh. Education: University of Edinburgh (MB, ChB Edin, 14.07.1914). Education: RN College, Dartmouth (01.05.1941-19.12.1944; Drake House, later Blake House; Admiralty No. 318). Only son of Dr. G.H. Shaw, and Mrs. Jane Liddell Forgie Shaw, of The Dell, St Lawrence, Isle of Wight. Married 1st ((06? ).1949, Plympton district, Devonshire) Joan Margaret Archer (died 1964), second daughter of V.Adm. Sir Ernest Russell Archer and Lady Archer, of North Queensferry, Fife; two sons, two daughters. Captain, Merchant Navy. Sailing master at Gordonstoun School, after which Master of the Sail Training Association schooners, the Malcolm Miller, and Captain Scott. Son of Sg.Capt. Archibald Campbell Shaw, RN (1889-1958), and Robina Whytock (1888-1972). Son (with three brothers [all killed in World War I] and five sisters) of Bishop Edward Domett Shaw (1860-1937), and Agnes Gilbey, of Christ Church, Oxford. Married (20.07.1934, Holy Trinity, Sloane Street, London) Sylvia Chiesman, daughter of Sidney Chiesman, and Mrs Stanley Dutton, of Cadogan Gardens, London SW.
Education: RN Colleges, Osborne (01.01.1913-1914) & Dartmouth (01.1915-01.01.1916; Chief Cadet Captain in Term 4 [Sept 1915]). Married Colleen (predeceased him); three sons, one daughter. Commander of the Order of St Charles the Holy (Monaco) (visit inauguration Prince of Monaco 04.50). Education: Nautical College, Pangbourne. Married ... O'Callaghan; ... children (son Capt. (S) Joseph Thomas Sheehan, RN). Published: Subsunk : the story of submarine escape (1960). Son of Lt.Col. Sir John Shelley, 9th Bt. (1848-1934), and Lady Shelley (Marion Emma Benyon) (died 1948). Married (16.04.1929) Eve Alice Gascoyne­Cecil (13.01.1900 - 03.02.1995), daughter of Rt.Rev. Lord Rupert Ernest William Cecil, Bishop of Exeter (1863-1936), and Lady Florence Mary Bootle-Wilbraham (?-1944); four sons. Education: RN Colleges Osborne & Dartmouth; Imperial Defence College. Deputy Lieutenant (DL), Buckinghamshire, 08.12.1952, High Sheriff of Bucks, 1958, Vice-Lieutenant, 1961-1965. Son of late Capt. Henry Graham Sherbrooke, DSO, RN (1877-1940), and Flora Maude Francklin, of Oxton Hall, Newark, Notts. Married (1929) Rosemary Neville, daughter of late Lt­Col Percy Neville Buckley, CBE; two daughters. * On 31 December 1942 off North Cape, Norway in the Barents Sea, Captain Sherbrooke in HMS Onslow was senior officer in command of destroyers escorting an important convoy for North Russia, when he made contact with a vastly superior enemy force. Four times the enemy tried to attack the convoy but was forced back each time. Early in the action Captain Sherbrooke was seriously wounded in the face and temporarily blinded. Nevertheless he continued to direct the ships under his command and even when the next senior officer had assumed control, he insisted on receiving all reports of the action until the convoy was out of danger. High Sheriff of Notts, 1958; DL Notts, 1958; JP Notts, 1960; Vice-Lieutenant Notts, 1964. KStJ 1970. Lord Lieutenant, County of Nottingham, since 1968; JP; Registrar and Secretary of the Order of the Bath, 1964-1968. Literature: Kenneth Edwards, Seven sailors (1945). Youngest son of three sons and two daughters of Maj. Charles Davies Sherston, and Edith Talbot, of Evercreech, Somerset. Married (wife died c. 1952). Retired to a farm in the Ngong Hills in Kenya. Education: RN Colleges, Osborne (1915) & Dartmouth. Published: The voyage of the Tai-Mo-Shan (1935); Coston gun (1946; autobiography). Son of Stanley Victor Sherwood, and Elsie Tryphena Entwisle. Education: RN College, Dartmouth (Upper Yardman scheme). Son of Harry Shipley and Mary Holder. Retired to Melbourne, Australia in 1956, where he consulted for ICI Australia & NZ Ltd. Son (with three brothers and four sisters) of Alfred Shirley (1875-1963), and Edith Mary Shillaker (1877-1946). Only son of Mr & Mrs George Henry Shirley-Rollison, of Bury Manor, Wick, Gloucestershire. Married (05.08.1931, Holy Rood Church, Stubbington, Hampshire) Irene Nina Tatham (12.02.1906 - 02.1997), daughter of Trevor John Tatham, of Beaconsfield, Lee-on-Solent, Hampshire (she remarried 1975 to Sir John Leslie Turing, Bt, MC); two sons. Education: King Edward's School, Bath; RN Colleges, Osborne & Dartmouth (15.01.1914-05.1917). 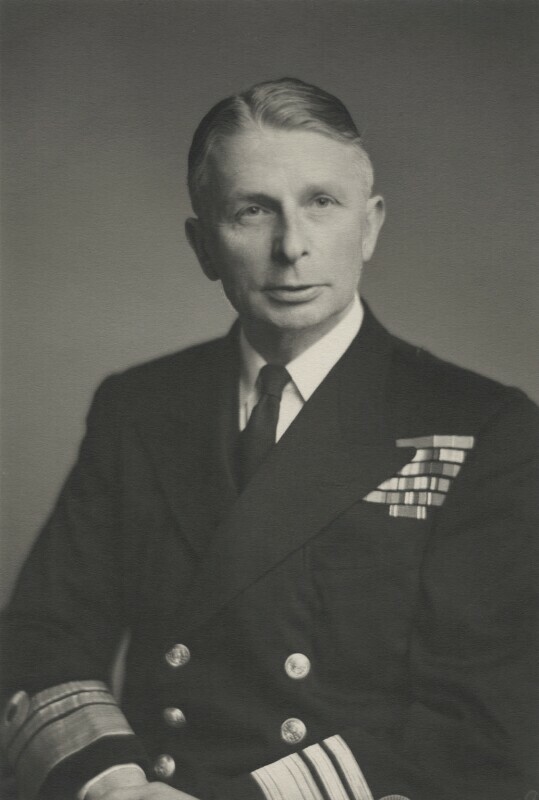 Leamington Spa Branch, Royal Navy Association (Joint President, 1948-1950 & President, 1953-1956). Father of Capt. Maurice Seymour Short, DSC, RN. Son of Lt.Cdr. Charles Rodney Short, RN, and ... Short. Son of Herbert Samuel and Bertha Shove. Married 1st (1910) Guinevere Wren (died 1920), daughter of J.A.E. Wren; four daughters. Married 2nd (1920) Mary Myrtle Reilly, daughter of Col. J.A.H. Reilly; three sons. Lived as a child with his farming family on Queen Court Farm, in Ospringe. Distributist, journalist, and Catholic Land Association Secretary, living at Hallett's Farm, Ditchling. Published: The fairy ring of commerce (1930); An outline of personalism. Elder son (with one brother) of Maj. Ashton Ashton Shuttleworth (1878-1956), and Dorothy Ann Leslie (1887-1967). Brother of Sq.Ldr. Richard Ashton Shuttleworth, RAF. County Councillor, Derbyshire, 1967. High Sheriff, Derbyshire, 1973. Deputy Lieutenant (DL), Derbyshire. Son of late E.A. Simeon, MRCS, LRCP. Married (1918) Gladys, daughter of late B. Arkle, Spital, Cheshire; two sons (and eldest son killed in Libya, 1942), three daughters. Director of Vickers­Armstrong Ltd, 1946-1954. Only son of E.M. Simmins, and ... Booth, of Bude. 12.07.1941 - 27.07.1941 British Naval Liaison Officer on Greek submarine "Glavkos"
Son (with three brothers) of Frederick William Murray Simon (1853-1911), and Mary Ann M. Bartlett (1855-1928). Married ((02? ).1915, Falmouth district, Cornwall) Louise Moran (25.11.1883 - 02.1982); five children (Lt. John Murray Simon, RNR, and Lt. (A) Noel Murray Simon, RNVR]. Fourth son of Frederick Dyke Sydney Simons, solicitor, of Penybryn, Cefn Coed, Merthr Tydfil, Wales, and Nora Penelope Barratt. Married ((03? ).1934, Weymouth district, Dorset) Ambrosine Mary Digby Oswald, second daughter of Lt.Col. W.D. Oswald, 5th Dragoon Guards, and Mrs Oswald, of St Winning, Weymouth; two sons, one daughter. 2nd son of late Rev. R.H.B. Simpson, of Guildford, Surrey. Lost a brother in World War I. Married (1945) Alison Mary, elder daughter of late Capt. L.J. Hall, CBE, RNR; two sons, one daughter. Son of Robert Rowell Simpson and Audrey Margaret Simpson. 1916 ? Married (01.09.1972) Helen ...; two sons. ? Son of Sir Maurice George Simpson (1866-1954), and Emma Mina Connell. Married 1st (1920) Bridget Baily (died 1937). Married 2nd (11.10.1938) Kathleen Clare Raikes Newbery ((06? ).1910-05.01.1952), daughter of Lionel Archibald McClintock Newbery, Clerk in Holy Orders; one son, one daughter. The Rear Admiral Simpson Memorial Prize: A prize of books and/or instruments awarded to the officer who obtains the best results of the three terms of the Marine Engineering Specialist Course passing out each year from the RN Engineering College, Manadon. Prize instituted in 1954: relatives of the late Rear-Admiral (E) T.H. Simpson, MVO, gave a sum of money for this purpose to commemorate his memory. Changed last name by deed poll of 03.12.1932 from Williams to Sims-Williams. Son of James and Mary Anne Simson. Married ((09? ).1939, London) Arlette Muriel Loeb Thal (06.05.1907 - 08.09.1972), of Edinburgh. Education: RN College, Dartmouth (King's Medal). Son (with one sister) of Col. John Norman Sinclair (1880-1918), DSO, Royal Horse Artillery, and Amy Rebecca Heard (1877-1969). Married 1st ((06? ).1933, Portsmouth district, Hampshire) Diana M. Lamplough ((06? ).1912 - ). She remarried (1940) Alan Kirconnel. Married 2nd (03.07.1940, Uxbridge, Middlesex) Frances Elinor Knox­Gore (18.01.1913 - 03.2005), daughter of Maj. Annesley St George Knox-Gore, Connaught Rangers, of Ballina, Co. Mayo; two sons. Education: RN College, Dartmouth (15.09.1922-1926). Naval Regional Officer (North), 1964-68. Son (with two sisters) of Adm. Sir Morgan Singer, KCB, KCVO (1864-1938), and Emily Mary Desborough (1871-1952). Married (25.07.1941, St Mark's, Sydney, NSW, Australia) Sybil Emmeline Martha Watts, daughter of Mr & Mrs G. Watts, of Wardering, Western Australia (she later re-married Tweedie). Personnel manager for 13 years at the Walker-on-Tyne shipyard, 1948-1961. Youngest son (with two brothers and three sisters) of Hervey Wheler Wilmot Sitwell (1865-1944), and Alice Mary Schwind (1865-1959). Married 1st (26.11.1932, St Peter's, Yateley, Aldershot district, Hampshire) Nancy Marie Ferguson (19.03.1911 - (06? ).1983), daughter of Mr & Mrs J.G. Ferguson; two sons. Nancy Sitwell remarried (1949) Michael A.L. Beddard. Married 2nd (08.09.1949, Westminster district, London) Anne Marguerite McLaughlin (née Broadley) (15.03.1914 - 04.05.1989), daughter (with one brother and two sisters) of Robert Alexander Longman Broadley (1884-1948), and Olive Devonald Edwards (1888-1976); one son.